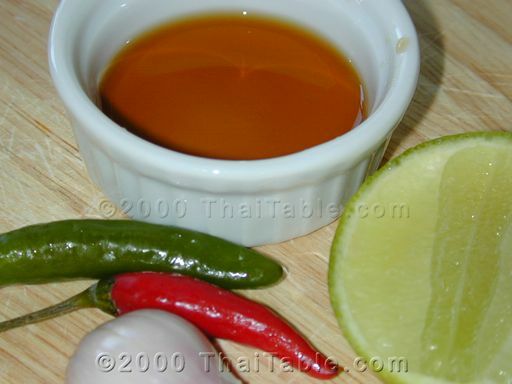 For a vegetarian chili fish sauce, substitute light soy sauce for fish sauce. 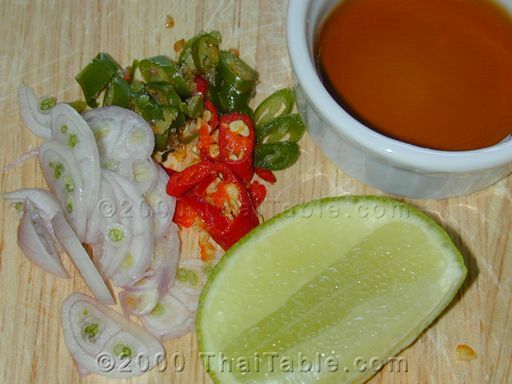 Slice chili pepper and shallot and place them in a sauce dish. Add fish sauce and lime juice. Some people omit the lime juice. But in our house, lime juice is a must. Some like garlic instead of shallot. This sauce is like salt and pepper, appearing on most people's table. 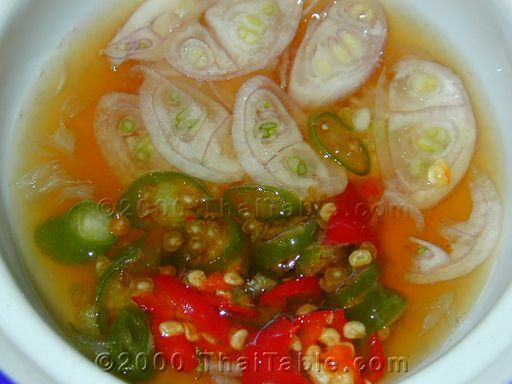 Chili fish sauce is also served with crispy fried dishes like fried fish, deep fried okra or green beans.